A partnership between Leverett Kimball and Charles E. Gould. Edmund Kidney and Samuel H. Johnson. Leverett Kimball and James C. Bates. Edmund Kidney, John Cann, and Samuel H. Johnson. Art Nouveau jewelry, holloware, novelties, and vanity items. Purchased by Gorham in 1906.
c. 1850-1855. Silversmith and watchmaker. 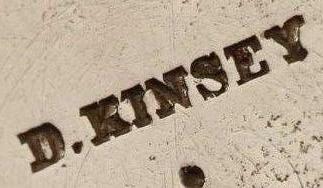 c. 1834-1836 and later E. & D. Kinsey in Cincinnati 1844-1861. A partnership between brothers Edward and David Kinsey. Keyes & Stocking with Reuben Stocking in 1831. Silversmith and jeweler. Was in the partnership of King & Bro. 1856-1864. Optical Co. in New York, NY. precision optical and marine equipment. Founded by Leverett Kimball and his son Wallace Kimball. 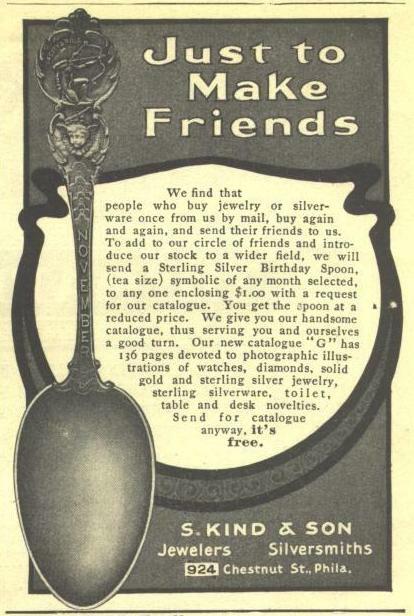 Primarily jewelers, advertised in 1902 and 1903 as jewelers and silversmiths. 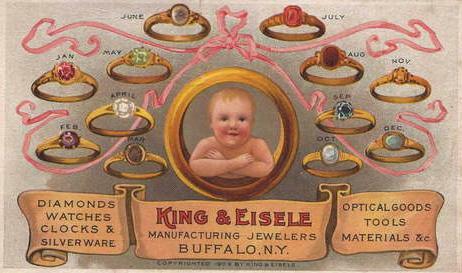 Founded by William King and Edward J. Eisele. 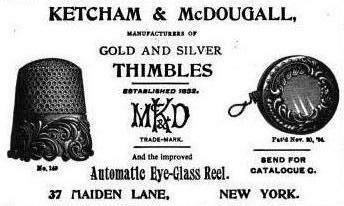 Ring and medal manufacturers. 1809 and Ketcham & Hitchcock 1817-1822. Kimball & Restarrick with Thomas C. Restarrick in 1884.